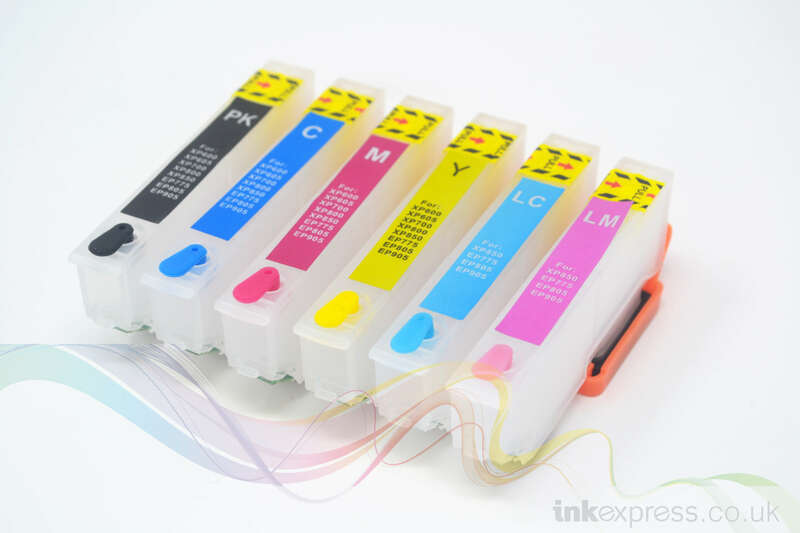 Compatible refillable ink cartridge set are supplied empty without ink so can be refilled with any ink of the users choosing. They are compatible to Epson 24 XL ink cartridges also known as T2431 T2432 T2433 T2434 T2435 T2436 ink cartridges. 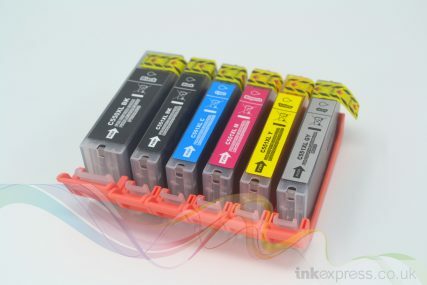 The refillable Epson T24 XL ink cartridge set can hold up to 13ml of ink. 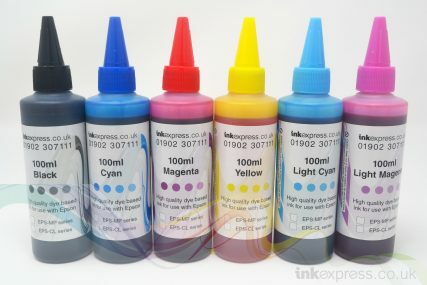 Additional bulk refill ink can be purchased from the Bulk Ink section of our website. 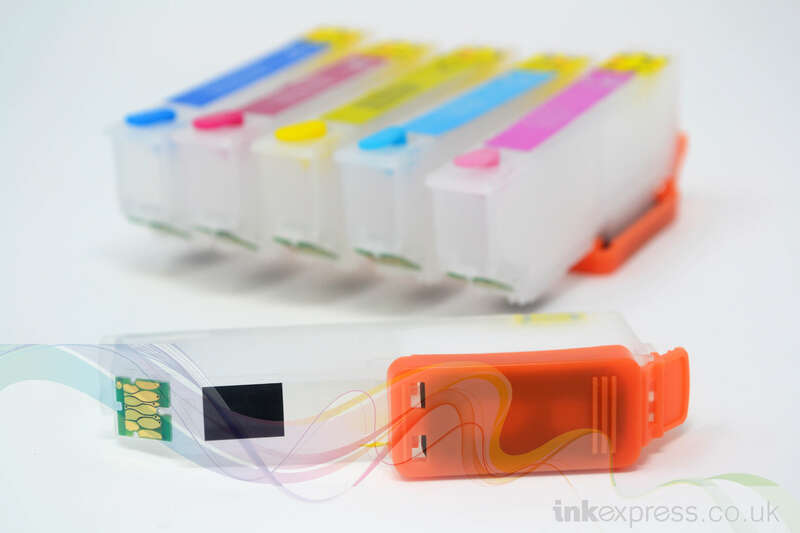 All our T2431-T2436 XL compatible refillable ink cartridges are designed to be as easy to refill as possible, the cartridges have specific refill holes where you can easily refill using a standard 10ml syringe and needle. 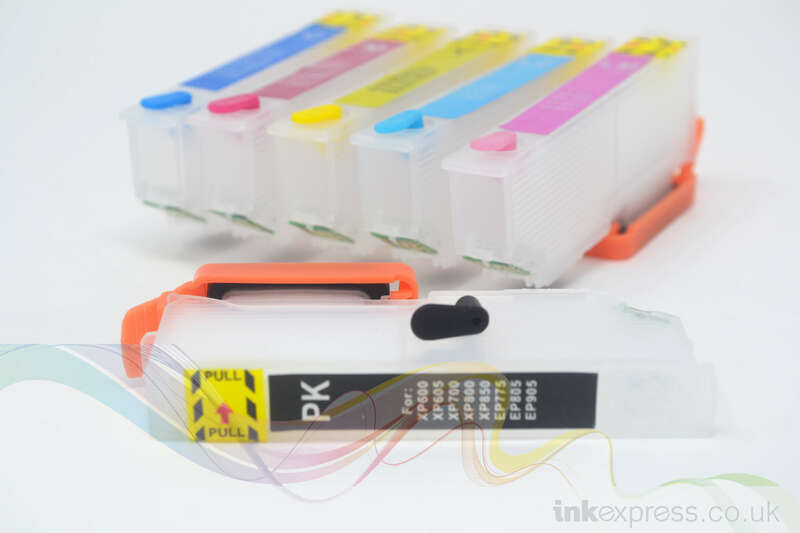 Our refillable T2431-T2436 XL compatible ink cartridges use a transparent plastic casing for easy viewing of the ink level whilst refilling. 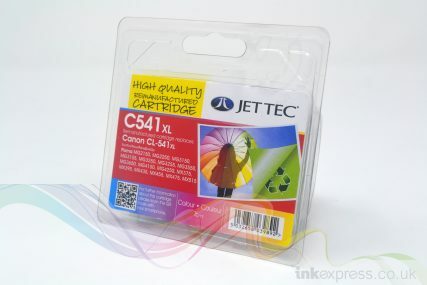 The cartridge features a high quality microfibre sponge for prolonged life of the ink cartridges. Our T24 XL compatible refillable ink cartridge set come fitted with the very latest resettable microchips these allow the cartridges to refilled and reused again and again. 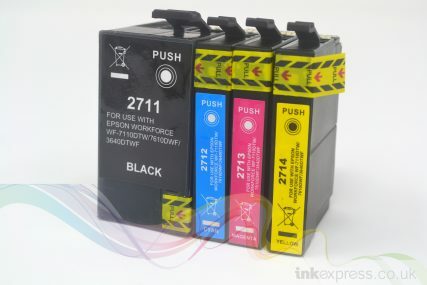 Simply fit the refillable T2431-T2436 XL compatible ink cartridge set, use as normal, when the cartridge is rejected or is shown as ’empty’ simply remove, refill and reinstall, the micro chip on the front of the refillable ink cartridge will reset automatically without the need for a cartridge chip resetter! Our T2431-T2436 XL compatible refillable ink cartridge starter pack has everything you need to start saving money and the environment!